Let’s Get Dirty! The highly anticipated launch of the all-new TRD Pro Series from Toyota is coming soon. Serious off-roaders, professional or amateur, young and old, will soon be able to drive over rough terrain with the most adrenaline-inducing lineup of off-road vehicles Toyota has ever unleashed. 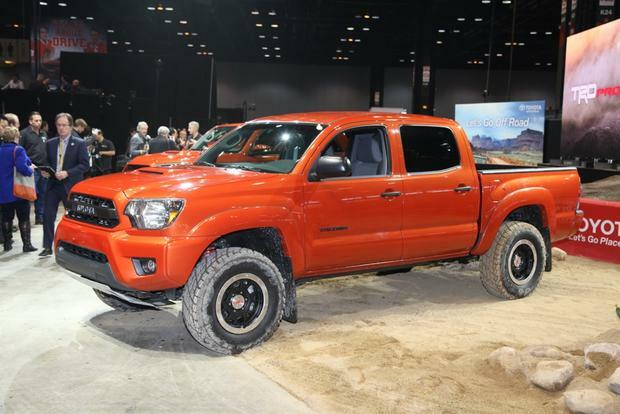 The manufacturer’s suggested retail price (MSRP) for the Tacoma TRD Pro will range from $35,525 for the Access Cab with a 4.0-liter V6 and 6-speed manual transmission to $37,415 for the Double Cab V6 with a 5-speed automatic transmission.